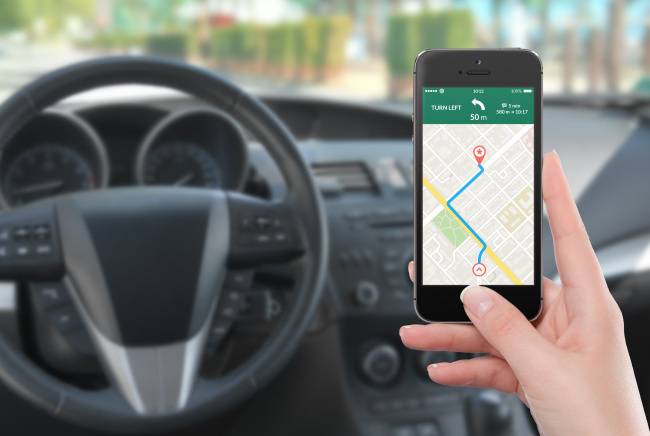 If you are a driver, you have likely experienced a navigation app that cannot locate your position due to a loss of GPS or network signal when traveling through isolated sites like tunnels, underground parking lots or narrow roads between high-rise buildings. But this annoyance may soon disappear, as South Korean mobile giant Kakao has set out to develop a next-generation location-tracking technology that will ensure that location-tracking remains stable at all times, even in confined locations. Kakao Mobility, operator of the Kakao Navi mobile navigation app, said Wednesday that it had partnered with the Korea Institute of Science and Technology to jointly develop a position tracking technology using Long Term Evolution network signals. The two are aiming to commercialize the technology sometime in 2019. Mobile maps and navigation apps currently use a combination of GPS and Wi-Fi signals to find the current position. But these signals become weak in isolated places where GPS signals do not travel well. To work around this problem, Kakao and KIST are building a technology that first builds a map based on LTE signals, then compares a smartphone’s LTE signals to determine the exact location. Though LTE-based location-tracking technologies are not new in the field, they have not been commercially developed due to low accuracy. But the LTE signal processing tech developed by KIST measures and analyzes LTE signal patterns multiple times, and can accurately detect even the slightest changes in location, Kakao said. The technology also allows mobile devices to use both GPS and LTE signals to track location, and employs “dead reckoning” algorithms to further improve tracking accuracy, it added. If adopted commercially, the LTE-based positioning technology would enable maps and navigation apps to function without issue in places where GPS signals are lost, and become the first technology of its kind to be launched internationally, Kakao said. So far, KIST and Kakao Mobility have presented their proprietary technology to the US-based Institute of Navigation, and are undertaking related patenting procedures with the US Patent and Trademark Office. “Accurate location data is the core baseline technology to all mobility technologies. For this reason, we’re committed to investing heavily in this technology research,” said Kakao Mobility CEO Jung Joo-hwan in a statement. “Upon completion, this technology will be foremost applied to Kakao Navi. We will also continue to research the technology so it can be employed by other industries such as autonomous driving and logistics,” he said.